Whether you realize it or not, Discovery Park provides significant benefits for Seattle residents. Ecosystem benefits include all of the things that nature does for us, like cleaning the air we breathe, filtering our water, providing habitat for native species, and places to recreate. As Seattle’s largest public park, Discovery Park is a critical source of ecosystem benefits, which impact the lives of park visitors, and Seattle as a whole. more than $1 million* worth of ecosystem service benefits. Air Regulation: Discovery Park’s ability to remove pollution from the air we breathe is valued at $55,000 each year. Carbon Storage & Sequestration: Discovery Park sequesters at least $100,000 worth of carbon each year. In 2013, the City of Seattle set a goal of becoming carbon neutral by 2050, a goal that can be achieved with the help of Discovery Park. Climate Stability: The park’s inland wetlands can reduce the risk of flooding, the outer wetlands can buffer storm surges, and the grasslands can help prevent soil erosion. These services could help prevent between $226,000 and $375,000 worth of damage each year. Water Quality & Storage: By naturally filtering water as it makes its way through the park and into Puget Sound, Discovery Park provides between $203,000 and $469,000 worth of water filtration and stormwater runoff reduction services each year. Biological Control: The insects and naturally pest resistant plants in Discovery Park provide nearly $6,000 worth of biological control each year. Habitat:While difficult to quantify, studies that value human interaction with wildlife indicate that Discovery Park supports at least $14,000 worth of habitat each year. Van Deren, Matt. 2018. 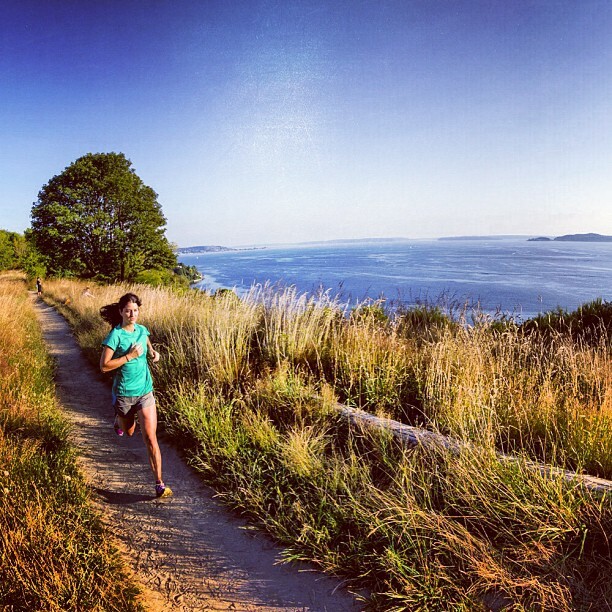 The Natural Value of Discovery Park, the Public Benefits of Seattle’s Largest Park. Earth Economics, Tacoma, WA.